In the latest instalment of the Eleanor saga, the Doctor and Eleanor find themselves in North America in 1937 about to unwittingly experience the Hindenburg disaster first hand! 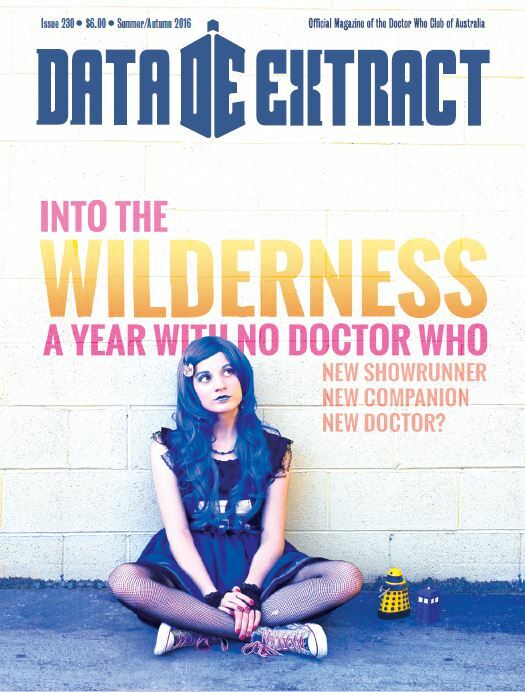 Plus, we have interviews with Cyberman designer Alexandra Tynan and Whovian songbird Meri Amber, while Rob Lloyd presents a behind-the-scenes look at the Doctor Who Festival. Series 9 is reviewed in Forum Square and discussed in A Little Perspective, while Emily Rogers debuts her Eleventh Doctor story Planet of the Cheetahs and Henric K Bland counts down the Top 10 Big Finish audios.